Diamonds are an important part of an engagement ring. Diamonds help enhance the engagement ring and give it a unique appearance. Diamond is the preferred choice of stone for many people’s engagement ring. In recent years, diamond shapes have evolved, which has led to the emergence of several new diamond ring trends. Here is a look at the most popular diamond shape choices for an engagement ring. The round brilliant cut diamond has been around for many years and is one of the most popular diamond shapes. Rough diamonds make up over 60% of all diamonds sold throughout the World. The round diamond is considered a classy choice for an engagement ring. Round diamonds allow the light from the engagement ring to reflect into people’s eyes. Pear shaped diamonds are known for their symmetry. The point of the diamond lines up with the middle part. The lower and upper curves help form a symmetrical curve. Pear shaped diamonds are viewed by many people as drops of water. Cushion cut diamonds have round corners, which create a unique outline. Many people have noted that the cushion cut is shaped like a pillow. The current version of the cushion cut diamond is slightly different from the original diamond. New technological advancements have enhanced the design. The popularity of cushion cut diamond engagement rings is expected to grow in the future. Marquise diamonds are known for their football shape. The narrow shape of the Marquise diamond helps create the illusion of a larger diamond. The Marquise diamond covers the most surface area compared to its peers. The diamond can be worn either across or along the finger. Radiant diamonds have increased in popularity the last few years. A radiant diamond is a mix of the rectangular shape of an emerald combined with a round diamond. 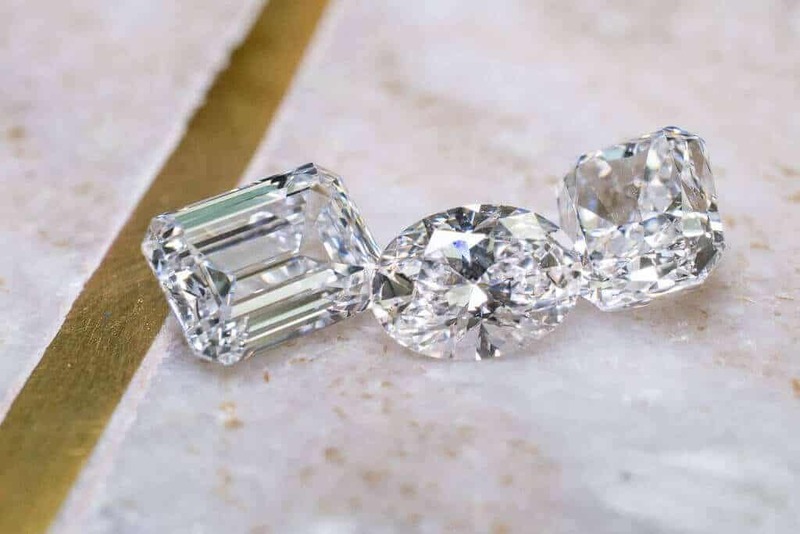 Radiant diamonds are deeper compared to their peers. Oval diamonds will give the engagement ring a classic look compared to more modern diamonds. Oval diamonds are influenced by round diamonds. There are many similarities between the two diamonds. Oval diamonds are known for their elongated shape. The princess cut diamond was created over 30 years ago, and is still a popular choice for an engagement ring. Princess cut diamonds are square in shape and provide a unique reflection. Princess cut diamonds are known for their versatility, as they are compatible with any style of ring.